Known for its tuning kits for BMWs and Minis, AC Schnitzer has pulled the covers off of its latest program for the Mini Cooper John Cooper Works. Like most of its programs, AC Schnitzer’s aftermarket update on the Cooper JCW isn’t all about flashy aesthetics. The German tuner isn’t known for being boisterous. 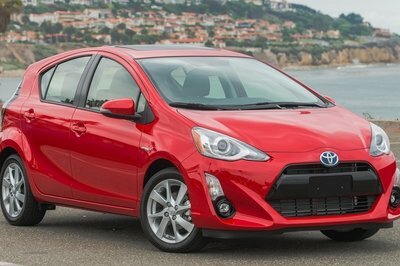 What customers will instead get is a program that focuses on the performance side of the hot hatchback. The Cooper JCW, after all, is the most powerful Mini ever developed. 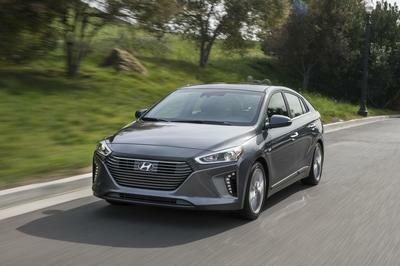 But even with that claim to fame, everyone knows that there are still a lot untapped horses inside that turbocharged 2.0-liter four-cylinder engine. That’s what AC Schnitzer sought to unleash, and for the most part, the tuner successfully did just that. That’s what AC Schnitzer is known for and as always, it delivers on that front yet again. 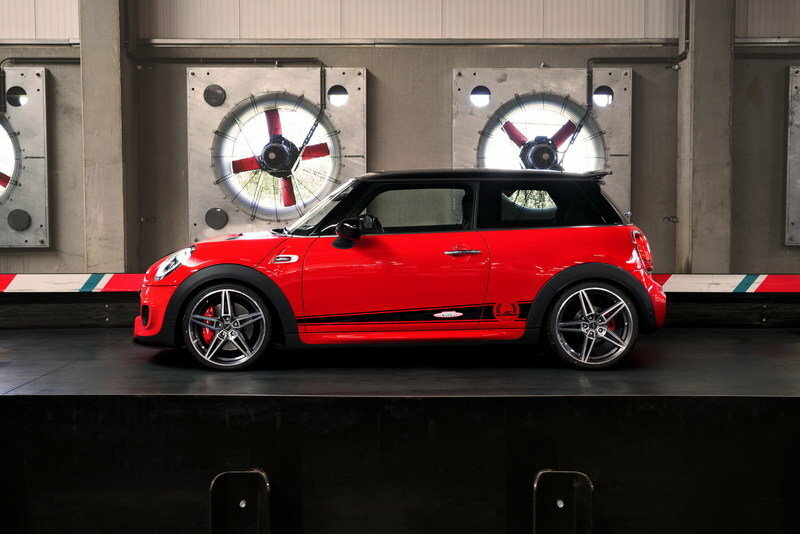 Continue reading to learn more about the Mini John Cooper Works by AC Schnitzer. 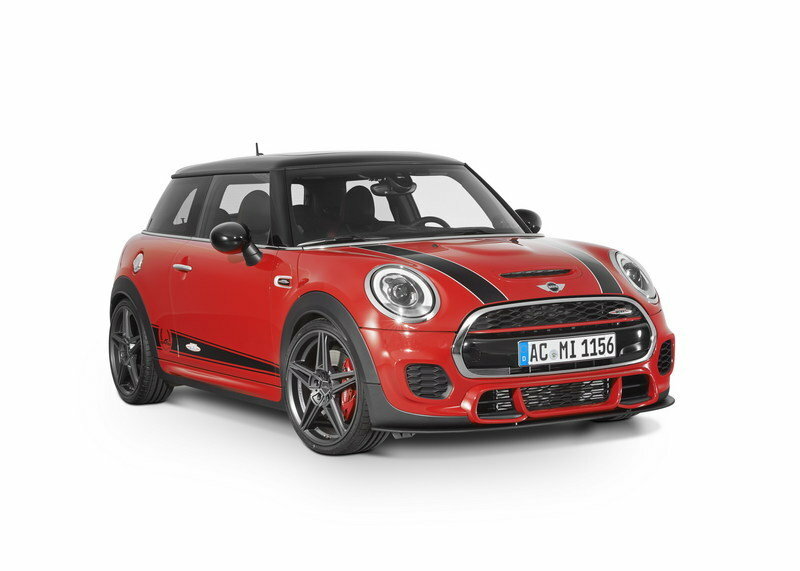 The exterior of the Mini Cooper JCW retains most of its traditional look, although AC Schnitzer did add a few components to give it a fresh dose of aero improvements. The most important of these new components is the front splitter, which fits just below the Cooper’s front skirt. 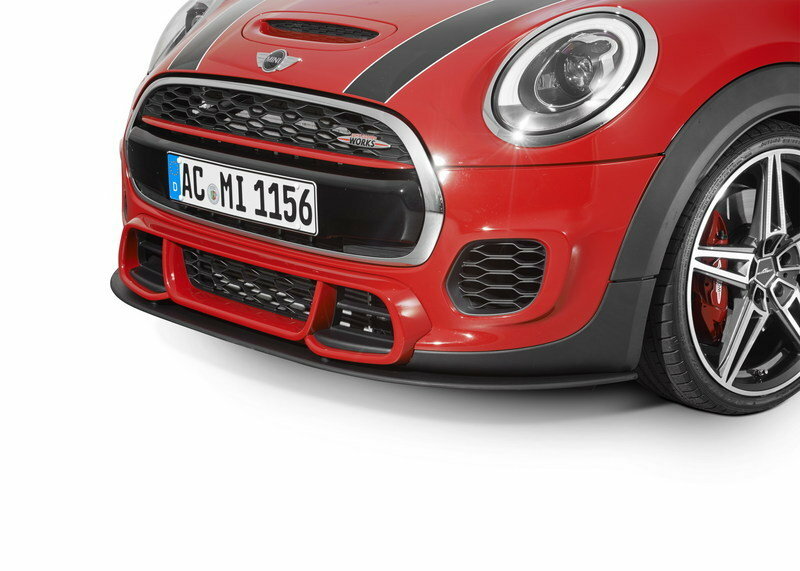 The splitter not only gives the Cooper JCW a sportier look, but it also helps provide better downforce. 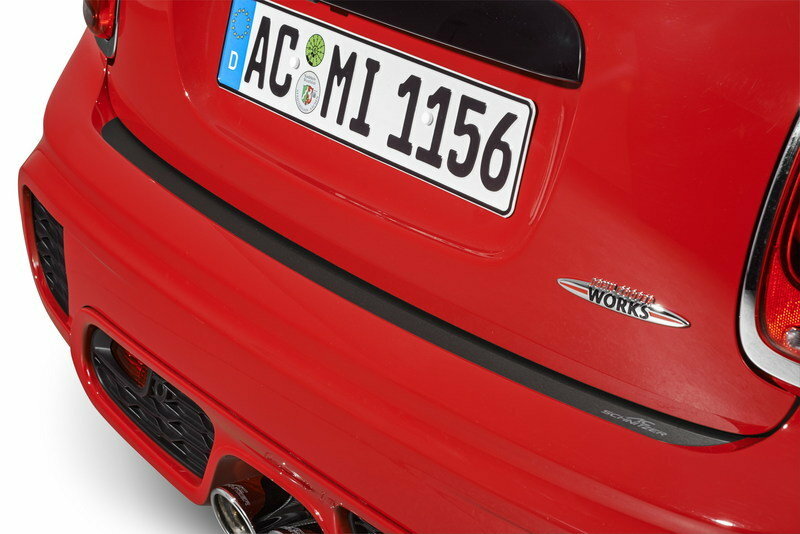 The German tuner also gave the Cooper JCW a rear skirt protective film, a Decor set, and a “Technology & Design” logo on the rear section. A new set of AC1 wheels finish off the exterior upgrades on the Cooper JCW. These wheels have a double-spoke design and come in 19-inch measurements. Likewise, customers have the option of choosing between BiColor or anthracite and are fitted with 215/35 R 19 tires. Moving inside, the upgrades are kept to a minimum, fitting in with AC Schnitzer’s reputation of focusing its programs on the technical side of the car. That said, the tuning firm does offer a number of accessories for the cabin, including the gear knobs, handbrake handle, aluminum pedals and footrest, and high quality velours foot mats. These add-ons don’t necessarily add anything to the Cooper’s interior, but they do provide a good imprint from AC Schnitzer. There’s a reason why AC Schnitzer has been voted the “best engine tuner across marques” by Germany’s Sport Auto magazine. The firm’s expertise in building engine programs is on full display with its program for the Cooper S and JCW models. Using its award-winning experience in building power upgrades, AC Schnitzer is able to improve the power coming out of the Cooper’s 2.0-liter inline-four engine. 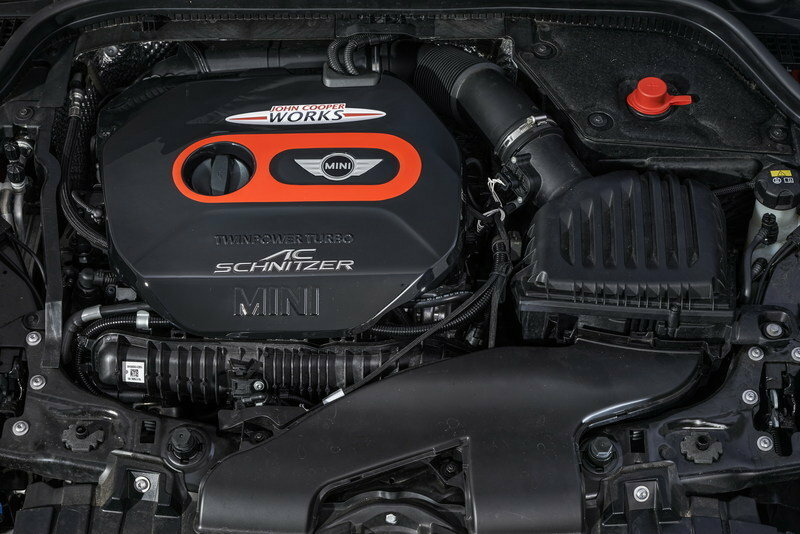 For the Cooper S, power jumped from 192 horsepower to 235 horsepower while the Cooper JCW saw its own performance number move north from 231 horsepower to 265 horsepower. The Cooper JCW saw its own performance number move north from 231 horsepower to 265 horsepower. No mention was made on any performance improvements, but the added power on both the Cooper S and Cooper JCW should result in a faster 0 to 60 mph sprint time for both hot hatchbacks. With the standard Cooper JCW already capable of covering that sprint time in 5.9 seconds, it should be able to do sprint from 0 to 60 in 5.8 seconds with the AC Schnitzer engine program in tow. The hot hatch should also get a nice bump in top speed, possibly to about 156 mph from the standard top speed of 153 mph. 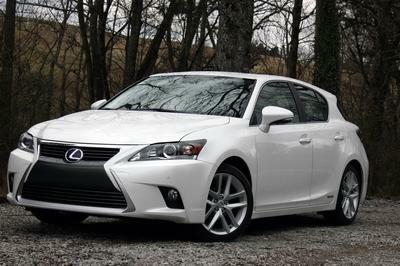 The German tuner also installed silencer systems made up of a back box and two "Sport" or "Sport Black" tailpipes. Rounding out the program is an integral AC Schnitzer "Track Mode" flap system with remote control for optimized sound. 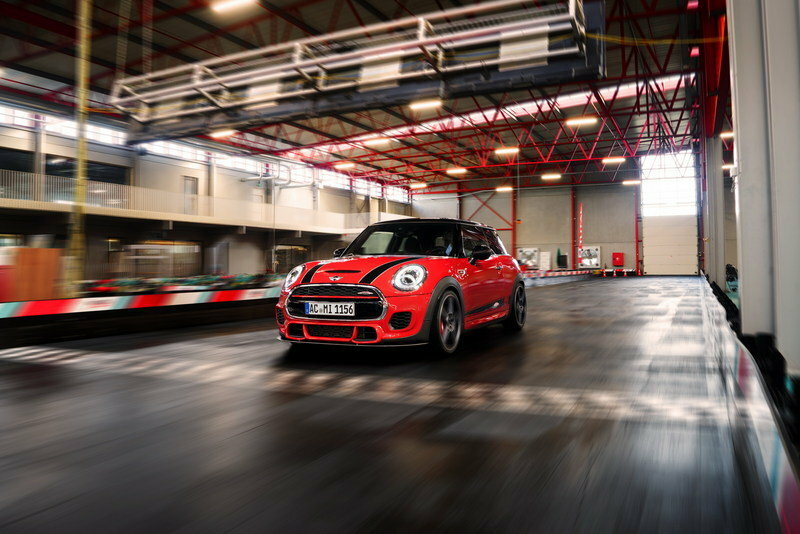 To keep the Cooper JCW driving like a rock star after the engine upgrades, AC Schnitzer installed suspension spring kits that help lower the car’s ride height by as much as 1.18 inches at the front and 1.38 inches at the back. The lowered height gives the Cooper JCW a sportier stance, but more importantly, the lower center of gravity helps improve the car’s overall balance and agility. AC Schnitzer’s pricing details are subject to the options and accessories customers choose. 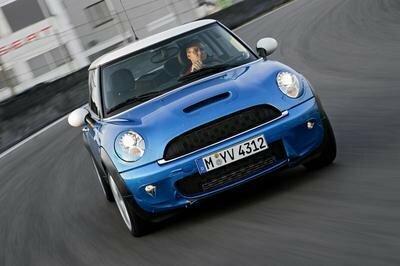 The best way to find out how much it’s going to cost you is to contact the German tuner directly so you can get a price quote on what you want done on your Mini Cooper JCW. 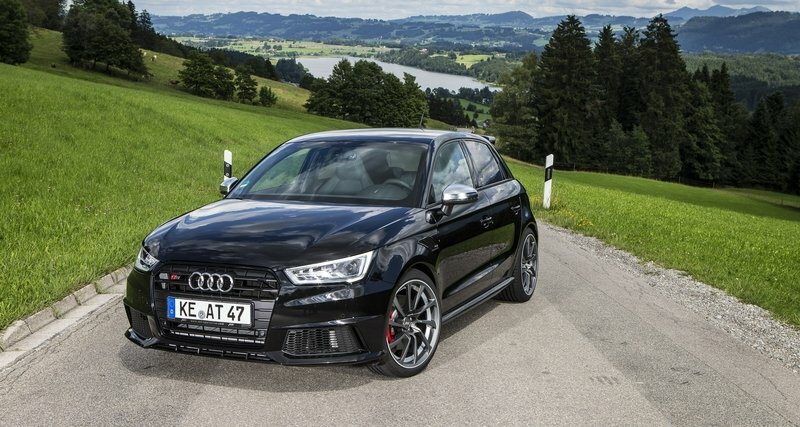 The hot hatch market is arguably one of the most competitive segments in the business today. There are many options to choose from and with the popularity of these cars, engine tuners have likewise taken advantage of it by getting involved in the segment. Noted Ford tuner Loder1899 may not have the same cache as AC Schnitzer, but it still can pull off an impressive kit of its own. Back in 2013, it did just that by introducing a program for the Fiesta ST, highlighted by a nice bump in power. 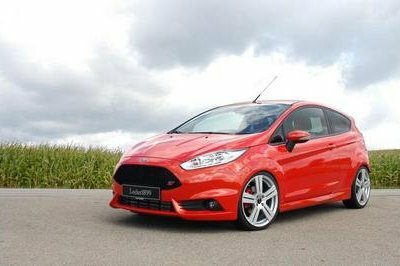 The most important aspects of this program are the ECU remap and the upgrades on the Fiesta ST’s exhaust and intercooler. Once the updates were finished, Loder1899 was able to bring a whole new amount of power out of the hatchback’s 1.6-liter Ecoboost engine, taking it all the way up to 235 ponies and 247 pound-feet of torque. The figures still can’t quite approach the improvements AC Schnitzer gave to the Cooper JCW, but with a 0 to 60 mph sprint time of 6.9 seconds and a top speed of 145 mph, Loder1899’s kit for the Fiesta ST at least makes the Ford hatchback competitive when lining up against the AC Schnitzer-tuned Mini Cooper JCW. While it’s clear that Loder1899’s program for the Ford Fiesta ST still lacks in pace compared to AC Schnitzer’s program for the Cooper JCW, ABT Sportsline had no such problem matching its German rival with its own kit for the Audi S1. Introduced in 2014, the kit for the S1 follows a similar blueprint. The aerodynamic improvements weren’t that extensive. In fact, ABT limited it to the addition of new fender inserts. The German tuner also offered new wheel options in the form of 18-inch DR Gun-Metal-Look wheels or 18-inch, one-piece cast, titanium-matte Z5 wheels. But just like AC Schnitzer, ABT Sportsline’s program for the S1 was defined by the modifications made on the car’s 2.0-liter inline-four TFSI engine. As expected, ABT tapped its New Generation tuning kit to bring the output of the Audi hot hatch to 310 horsepower and 324 pound-feet of torque. The result is an S1 that can sprint from 0 to 60 mph in just 5.3 seconds, even though top speed remained at 155 mph. Customers who avail of AC Schnitzer’s tuning programs should know what they’re getting into. The German tuner isn’t known for over-the-top exterior modifications, so if you’re looking to turn your Mini into a car that would make Mad Max proud, better find another tuner that can do it for you. Likewise, if you want your Cooper JCW to get an extensive interior update, better find another one for that too. But if you want your hot hatch to get an extra dose of power, there aren’t a lot of tuners in the business that know Minis (and BMWs for that matter) more than AC Schnitzer. There’s a reason why the German tuner has received awards for its programs. For what it’s worth, these reasons are what keeps customers coming back to AC Schnitzer. Stylish and versatile: only a few cars pull it off as well as the MINI by AC Schnitzer, the standard version of which has been available for some time from MINI dealers. So if you want to stand out from the crowd of MINI owners not just visually but also at the lights, you would best take a closer look at AC Schnitzer. Developments are focussed on the power plants of the MINI Cooper S and the John Cooper Works. For both models, AC Schnitzer offers performance upgrades which take the power of the two MINIs from 141 kW/192 hp to 173 kW/235 hp, and from 170 kW/231 hp to 195 kW/265 hp respectively. The power upgrades give the MINIs an even more impressive performance and come with a 2-year warranty. And once again, the readers of "sport auto" magazine have voted AC Schnitzer currently the best engine tuner across marques, confirming the company’s position as a competent partner for performance tuning. 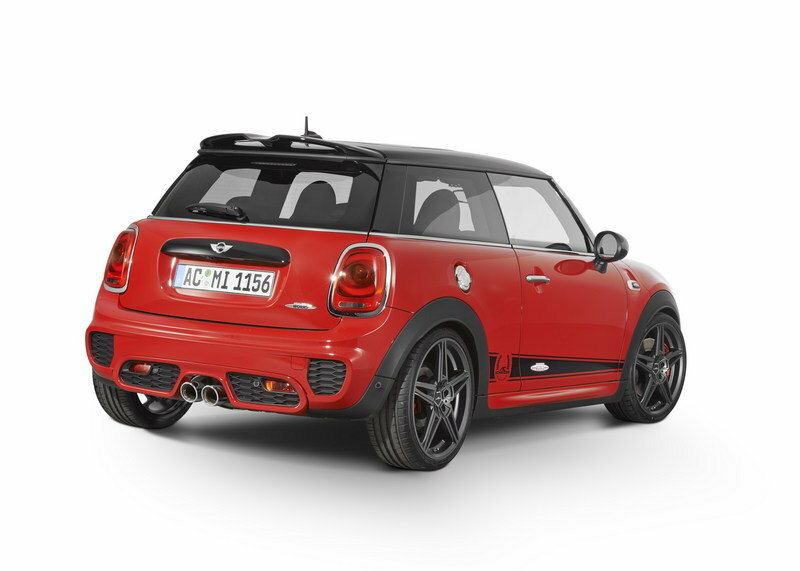 The power of the MINIs is communicated externally in appearance and sound by the AC Schnitzer silencer systems, which consist of a back box and two "Sport" or "Sport Black" tailpipes positioned centrally. The kit also includes the integral AC Schnitzer "Track Mode" flap system with remote control for optimized sound. Different sound pipes, available as an option, form part of the silencer systems. The "Sport" and "Sport Black" tailpipe trims are also available solo. To optimize driving behaviour and bring the MINIs a bit closer to the asphalt, suspension spring kits have been developed which lower the MINIs by around 20 - 30 mm at the front and around 25 - 35 mm at the rear. 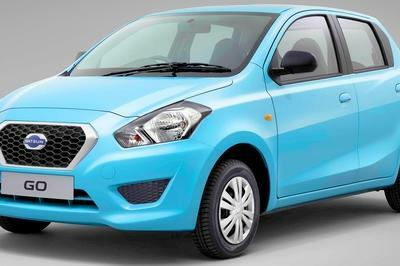 The resulting change in centre of gravity of the vehicle brings a perceptible improvement in agility and driving fun. This is particularly evident in conjunction with the AC1 alloys in 7.5J x 19 inch, developed specifically for the new MINIs. 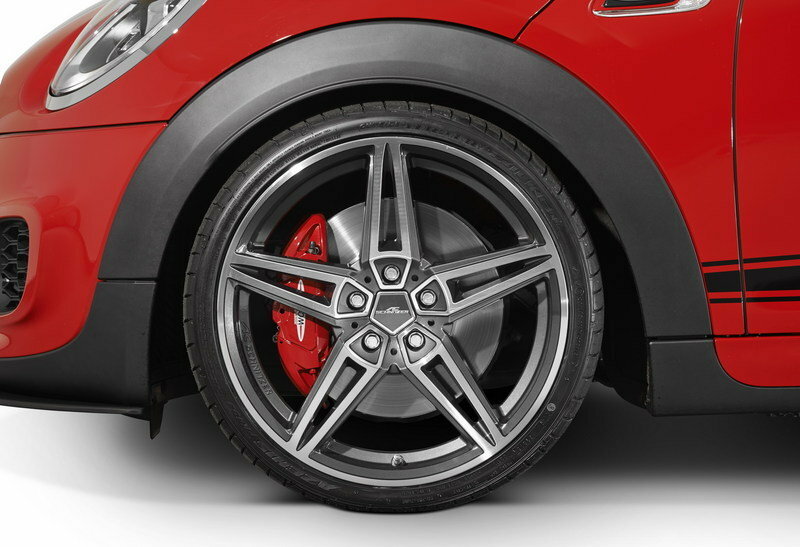 Here AC Schnitzer has re-interpreted the classic double-spoke design to give a sporting, hybrid look. Thanks to the refined styling, triangles form tips towards the wheel rim and widen towards the wheel centre, separated by five trapezoids. These guide the gaze directly to the real classic element of the AC1 rim: the 5-cornered hub cap with AC Schnitzer logo. Despite this wealth of styling elements, the design has a clean, masculine look thanks to the ultra-straight lines. The interplay of all these elements lends the AC1 wheel solidity and size. The AC1 rims are available for the MINI in BiColor or anthracite, and are fitted with tyres size 215/35 R 19. 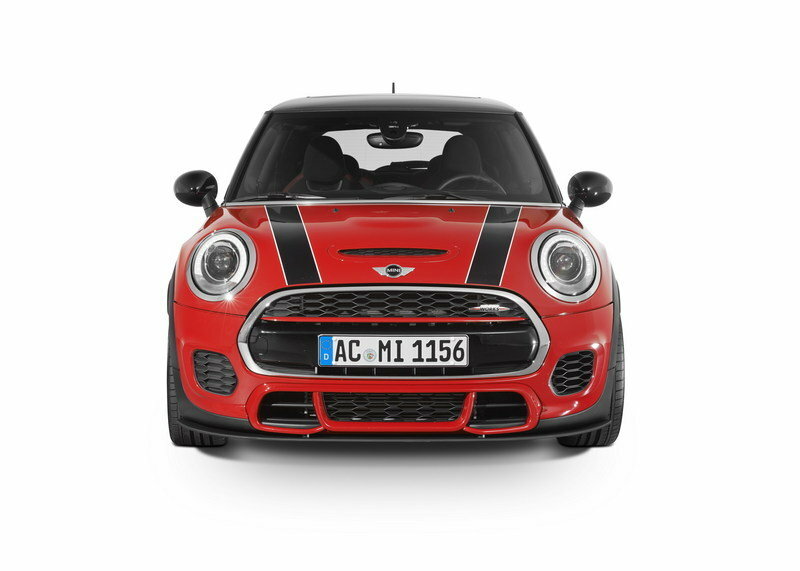 The MINIs facial traits become more sporting thanks to the new AC Schnitzer front splitter which fits below the standard front skirt. This provides better downforce and a subtly sporting look. The rear skirt protective film, a Decor set and the rear "Technology & Design" logo complete the range. 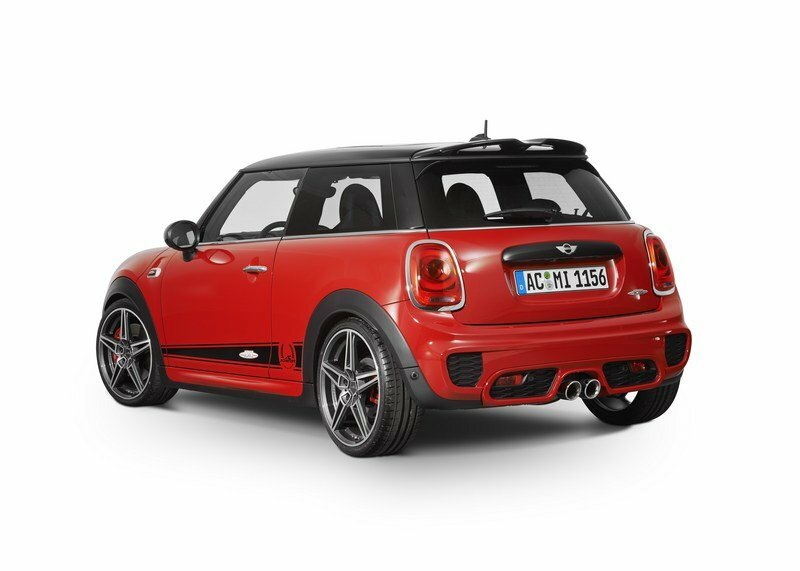 Naturally, the enthusiastic MINI fan will also appreciate the atmospheric AC Schnitzer accessories for the interior. Like the gear knobs, handbrake handle, aluminium pedals and footrest, and high quality velours foot mats. So with a few carefully styled, technically sophisticated touches, the "Small Giant" becomes a true AC Schnitzer.